Best view from a newsroom in Europe? This is for those of you working in windowless newsrooms or offices in industrial estates this grim October Friday evening. It is the view from the new newsroom at the Times of Malta in Valletta and was kindly sent to me by journalist Waylon Johnson (@WayCourt). The newsroom at the Times used to be a windowless and cramped place, now it is open-plan with this vista for the journalists to gaze upon. A couple of years ago, while at the Inverness Courier, I took this picture and asked if the view from the editor's office was the best in Britain? Now the question has gone international. Which is the best newsroom view in Europe or, indeed, the world? The good news is I will be taking in the Maltese view first hand (and hopefully a bit of sunshine) next month when I have a week back working at The Times. Having just returned from London in the pouring rain, I have to say I am quite looking forward to it. Me (left) and colleagues Tony Johnston and Mike Watson (far right) with Telegraph trainees Rhiannon Williams, Ben Riley-Smith (with his Champagne), Olivia Goldhill, Theo Merz, Radhika Sanghani and Dan Johnson. I said goodbye to the Telegraph trainees this week. Their final task, at the end of a seven-week training programme at PA in Howden, was to put together a project on how the Telegraph might cover the 2015 election. They created a new print supplement, a radically new online approach and put together an interactive working app. 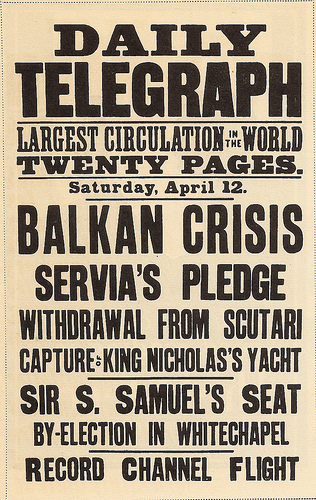 Yesterday they presented it all to Telegraph executives in Victoria. It was all very impressive. They now head off on secondment to regional newspapers or to the Press Association. They are a bright bunch and good characters. I wish them well. We finished, as ever, with the newsquiz followed by farewell drinks in the Brass Monkey. Ben Riley-Smith and Dan Johnson were joint winners, both scoring a less than average 10.5. They were steeped in their project this week, so didn't really get the chance to study the papers. Understandable but, as they know, not really an excuse. Ben collected the Champagne for being top over the seven weeks - 8.5 points ahead of second placed Dan. Anyway, there are 22 questions. Three have a bonus so there are 25 points up for grabs. See how you do. As the diploma season is over, this is the last of the weekly quizzes. Hope you enjoyed them. 1. The Culture Secretary wrote to the chairman of the BBC Trust to say the Jimmy Savile affair had raised 'very real concerns' about public confidence in the BBC. Who is the Culture Secretary and who is the chairman of the BBC Trust? One point for each. 2. Exactly how much did comedian Frankie Boyle win in libel damages against The Mirror? 3. How long was soccer thug Aaron Cawley jailed for? For a bonus, which two teams were playing in the game when he assaulted goalkeeper Chris Kirkland? 4. In the latest Superman comic, Clark Kent quits his job as a reporter on the Daily Planet after a showdown with its publisher. Who is the publisher of the Daily Planet? 5. Who is the MP for North West Hampshire? 6. According to the Environment Secretary, bad weather and the Olympics are to blame for what? 7. Which store has defended its policy on restricting staff from displaying tattoos and piercings? 8. 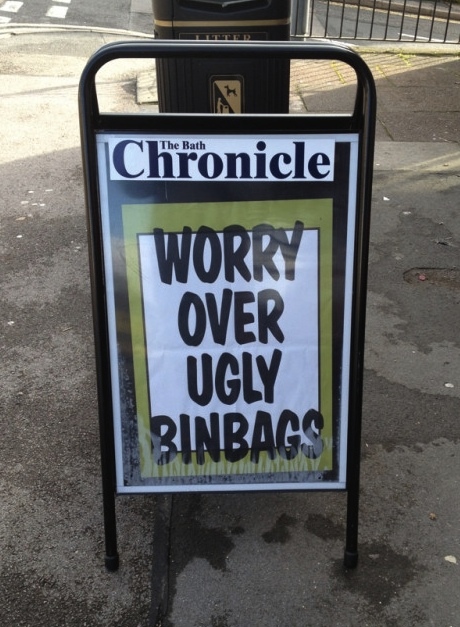 Trinity Mirror has merged its regional and daily titles. Who is the chief executive of Trinity Mirror? 9. Who visited Julian Assange in the Ecuadorian embassy wearing a t-shirt that said 'I am Julian Assange'? 10. Barack Obama told supporters at a Florida rally that America had a choice between "reckless and wrong or ...... and ....... ". Fill in the two missing words. A half point for each. 11. Chief Constable Sir Norman Bettison resigned from which police force? 12. 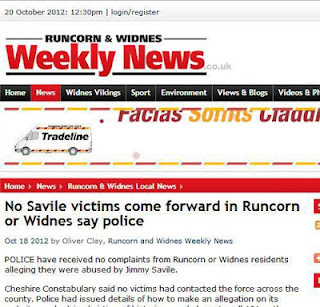 Why was Pauline Bailey in the headlines? 13. Ford is closing its factory in Southampton and moving the manufacture of all Transit vans to which country? 14. Former policeman Michael Upson contravened a 1981 Act. What did he do? 15. Pippa Middleton's book was published this week. What is it called? 16. Who rode Frankel in his final race? 17. What, in a Tweet, did David Cameron say 'was healing'? 18. The FSA has said what is a ticking time bomb? 19. Who had their Olympic medals stolen after attending an event at Buckingham Palace. One point each. 20. Name the Category 2 hurricane which is sweeping through the Caribbean? 21. Nike has sold a sports clothing brand which provided the shirts for England's 1966 World Cup win. What is the brand called? 22. Ceefax signed off this week. Which year did it start broadcasting? Here's a couple of captions that caught the eye this week. The one above from my old friends at the Newark Advertiser is an excellent example of why subs need dirty minds - and good taste. 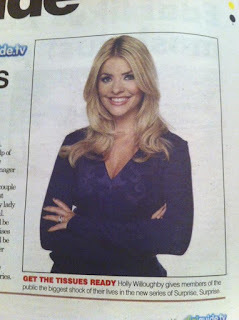 Thanks to ‏@EdGrover for that one. 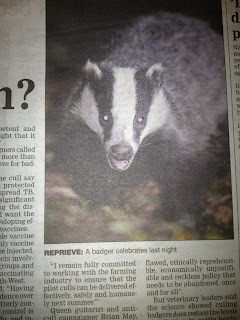 And this one from my other old friends at The Northern Echo, reporting on the delays to the badger cull, made me smile too ... albeit for different reasons. Hat tip to @johnestevens. 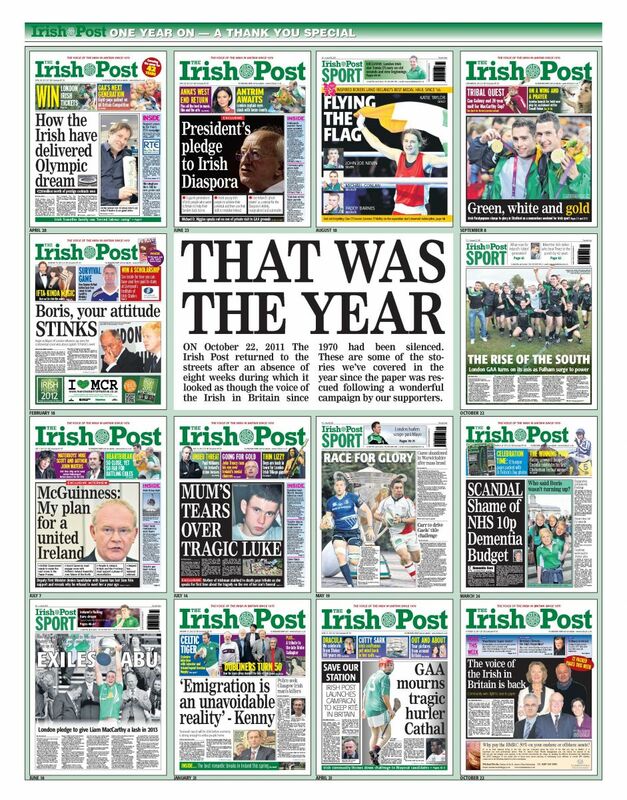 Congratulations to the team at The Irish Post on its first anniversary. In August last year Thomas Crosbie Holdings, owners of the Irish Examiner, decided there was no future for the Post and closed it down. 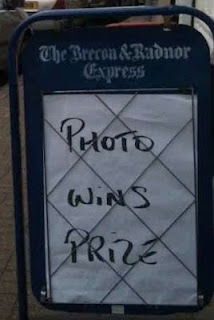 But the staff weren't taking that lying down and campaigned to get the paper reopened. Their saviour was Cork-born businessman Elgin Loane who brought the paper back from the dead last October. 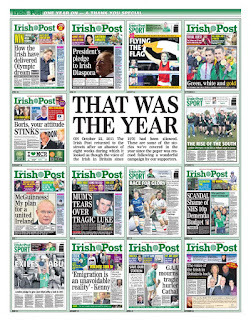 Since then the Post, which was started in 1970 by the late Breandán Mac Lua as a weekly paper for the Irish in Britain, has thrived. I was at its Barbican offices a couple of weeks ago, and met Elgin, MD Niamh Kelly and the small but dedicated news team. It was great to be back. I have been involved with the paper since the mid-1990s, have redesigned it twice, sat on the interview panel for assorted editors and trained the staff. My colleague and friend Brian Page is holding the fort as acting editor, something he also did in the 1990s, while the paper appoints a new full-time boss. What is abundantly clear is that the spirit, determination and hard work of the staff is one of the main reasons the paper has survived. It is a fantastic story ... how many other papers can you name that have closed down and been resurrected, particularly in the current climate? Well done to them all and here's to many successful years ahead. Here is another non-story to add to those I have flagged up over the years. First, there was the dog that injured its nose in Ringwood. Then the woman who couldn't buy custard powder in Whitstable, which spawned the great Custard Shortage collection. One of the earliest was the mattress that fell off a lorry in Kidderminster, causing no chaos at all (although a car did have to stop). One of my favourites was 90-year-old Irma Gledhill finding a straight banana. It was the quotes that made it. "If I can't do anything else, I will eat it," she said. And still on the fruit trail, there was the man who stumbled on a rather large pear in Sutton. There was also the chap who called the police to report a suspicious package from Amazon on his doorstep. And then there was the splash in the Folkestone Herald that told the shocking story of a woman who bought a pasty that was three days past its sell-by date. Yes. Really. The splash. People were equally shocked in Haywards Heath when Boots the chemist opened a little later than usual one morning. 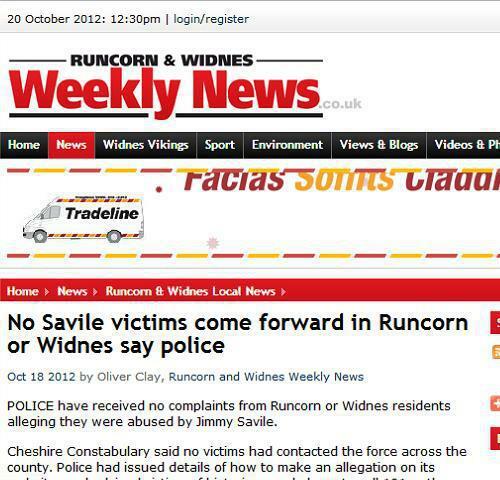 But the latest Jimmy Savile story adds a new dimension. Just think of the potential ... no murders in town this week, Tom Cruise not buying a house in our patch, aliens didn't land in city park. The list is endless. Never again will the newsdesk struggle to fill the paper. Once upon a time there would have been a world-weary news editor explaining in no uncertain terms to some hapless reporter that it simply wasn't a story. Now these things slip in with regularity - and inevitably get more web hits that any of the worthy and serious coverage. Perhaps there is method in the madness. It will be the bizarre, the offbeat, the mistakes, the funnies and the downright bad that will get the biggest followings. As I have suggested before, we might have to write new guidelines into our training courses for young journalists. "When you go back to your newsrooms you will be expected to deliver three page leads, three quality shorts - and at least one non-story a day." Mail trainees (left to right) Colette Sexton, Josephine Forster, Ellie Buchdahl, Helen Lawson with the Champagne, Olivia Williams, Lauren York, Andrew Magee and Lauren Davis. Today is the last day at the Manor, PA Training's Howden HQ, for the Daily Mail trainee sub-editors. We had a week of more intensive subbing and layout and each of them created a live Mail page when the Gary McKinnon story broke on Tuesday. They were also visited by senior sub Jenny Ryan who opened their eyes to the reality of working in the Mail newsroom. After today they go off on placements to regional newspapers (the Hull Daily Mail, the Western Morning News and the Manchester Evening News) or to the Mail or Standard. Good luck to them all. I am sure they will be a big success. Meanwhile the Telegraph trainees, in their penultimate week, had a packed schedule with FoI specialist Paul Francis, digital trainer Andy Drinkwater and Telegraph lawyer Adam Cannon. Today they are visiting the Liverpool Post and Echo. Yesterday we held the newsquiz. There was high tension within the Mail ranks as, with Champagne at stake, only a half point separated Lauren Davis and Helen Lawson as the final questions loomed. In the end Helen pipped it by one point. Well done to her. The winner of the week though was the Telegraph's Radhika Sanghani with an impressive 21. It's a bit of a bumper one this week - 22 questions with a possible five bonuses - so 27 points up for grabs and Radhika's 21 to beat. See how you get on. 1. Who wrote the Black Spider memos? 2. Why was Candy Crowley in the spolight? 3. Downton Abbey beat the X Factor in the ratings war on Sunday night after Lady Sybil died from eclampsia. Who played the part of Lady Sybil? And, for a bonus, there was also a death on the live showing of Emmerdale. Name the character who died. 4. Heather Watson became the first British woman tennis player to win a WTA tour title since 1988. Which country's Open did she win? For a bonus, where was Watson born and raised? 5. An Austrian stuntman fell to earth from the edge of space. Can you spell his surname? For a bonus in which US state did he land? 6. The Independent Parliamentary Standards Authority has suggested that MPs might receive a 40 per cent pay rise on their current salary. To a margin of error of £1,000, what is an MP's current basic salary. 7. MP Stuart Bell died at the weekend. Where was his constituency? 8. Malala Yousafzal was flown from Islamabad for treatment at which UK hospital? 9. The Director of Public Prosecutions will decide whether Gary McKinnon will be charged with computer hacking in the UK. Who is the Director of Public Prosecutions? 10. Hilary Mantel became the fist woman to win the Booker Prize twice. What was the name of her winning novel and, for a bonus, name her book that won the prize in 2009? 11. Jon Benjamin has been threatened with violence after he made a Twitter joke about Argentina's football team. Benjamin is British ambassador to which country? 12. Comedian Frankie Boyle is suing which newspaper for libel after it called him a racist? 14. John Whaite won the Great British Bake Off. How old is he? 15. According to a new study, what offers no meaningful protection against cystitis? 16. There was an apparent catfight in Downing Street this week. Name the Chancellor's cat and the PM's cat. (Half a point for each). 17. The Employment Minister said Britain had the highest number of people in work since records began. Which year did he say that was? And, for a bonus, who is the Employment Minister? 18. Seven paintings, including works by Pablo Picasso, Claude Monet, Henri Matisse, Paul Gauguin and Lucian Freud were stolen from which museum? 20. Specialist digging equipment is being used to search for missing Ben Needham on which island? 21. Why have Rosie & Ruby Formosa been in the headlines? 22. In a BBC survey of 166 British football clubs Arsenal is the most expensive club (charging £126 for the top adult match-day ticket). Which club is the cheapest? As a follow-up to my guide to the art of bill writing, it should also be pointed out that how newspapers are stacked at the point of sale is also pretty important. 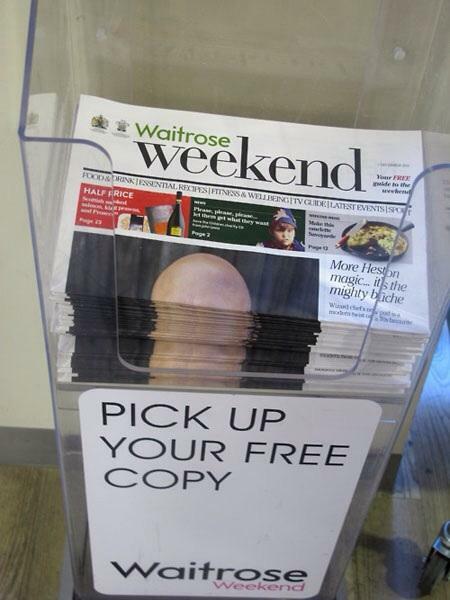 This one has been around a bit via @FatherWoland and recently revived by @theJeremyVine. The message is still valid though (and it is very funny). 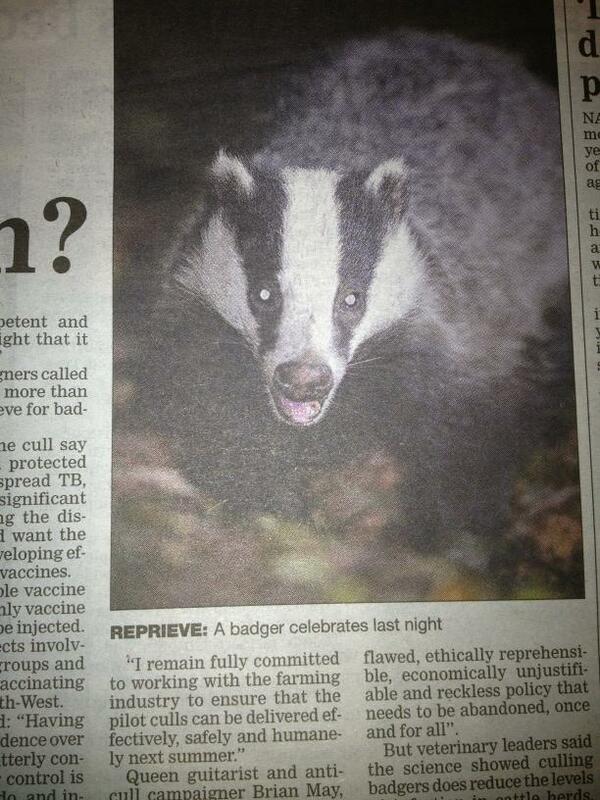 I was pleased to see this news bill in Tunbridge Wells recently. It certainly teases the reader and had the Courier flying off the shelves. It was a contrast to another bill I saw in the same town a few years ago that said Door slightly damaged in T. Wells Post Office raid. The use of the word 'slightly' was classic. Bills have been topical on Twitter in the last few weeks, not least because Radio 2's @theJeremyVine asked his followers to send him bizarre examples - and they duly obliged. They included this one, which carried the comment 'it's all kicking off in Brecon and Radnor'. So, with so many bad bills around, I thought it would be timely to revisit my guidelines and show some that work and some that don't. 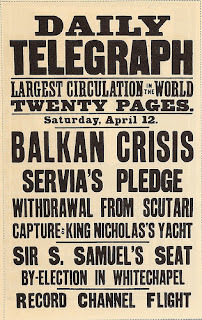 Bills have been tools for selling newspapers for decades, as this one from the Daily Telegraph shows. 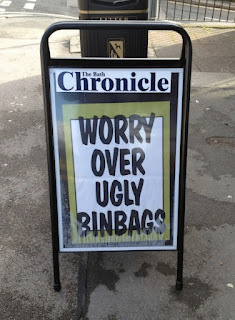 They can be hugely effective. What other industry has the opportunity to get several different messages on the streets every day? A few years ago research by Press Ahead showed clearly that people were influenced by bills, particularly those with local news stories. Yet the nationals don't bother any more and I have more bad examples than good ones from the regions, suggesting newspaper staff don't have the knowledge, time or inclination to do them properly.